Walnut Creek, California is a destination known for business as well as entertainment opportunities. The area is rich with culture and is home to many art centers, gardens, museums and other forms of education and cultural opportunities. Many residents call the area home and at ACS Air Conditioning Systems, we work hard to keep the residents of Walnut Creek comfortable in their homes year round. We offer a wide variety of service options for both heating and air conditioning systems, so your home is nice and cozy no matter what the season. Heating service is one option we provide our customers in Walnut Creek. We cover all aspects of heating service so Walnut Creek residents in the area never have to worry about their heating unit. Our company provides heating repair service, heater maintenance and heater installation options. Our team of technicians is ready to assist you with any heating issue you come across. Our repair and maintenance service options are available for your existing heating unit system. If you are in need of a new heater, we offer our installation service. Our technicians are heavily skilled and experienced in each area so that we provide the best service each time we visit your home. 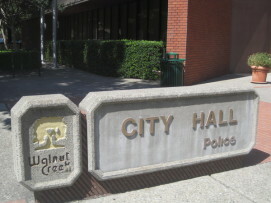 Walnut Creek, CA air conditioning is one of our service options as well. Our company offers the same great air conditioning service so you can remain comfortable year round. We have the ability to keep your home cool during the hot summer months with our Walnut Creek air conditioning repair and maintenance service options. We also offer Walnut Creek air conditioning installation service so if your AC unit is beyond repair, we can help you choose the best new option for your home. Call Us Today and See Why Walnut Creek, CA Residents Trust All of Their Heating and Cooling Needs to the Professionals Here at ACS Air Conditioning Systems Inc.
Just a quick note to thank you for the recent A/C installation. Both Darren and Justin were very thorough with the installation and took the time to explain the process to me. This morning I turned the heater on to remove the overnight chill. I noticed a remarkable difference in the duct output, since Darren had replaced and sealed the duct extension to my unit. GOOD JOB! I’m looking forward to the HOT summer and possibly lower energy bills………thanks to your help!